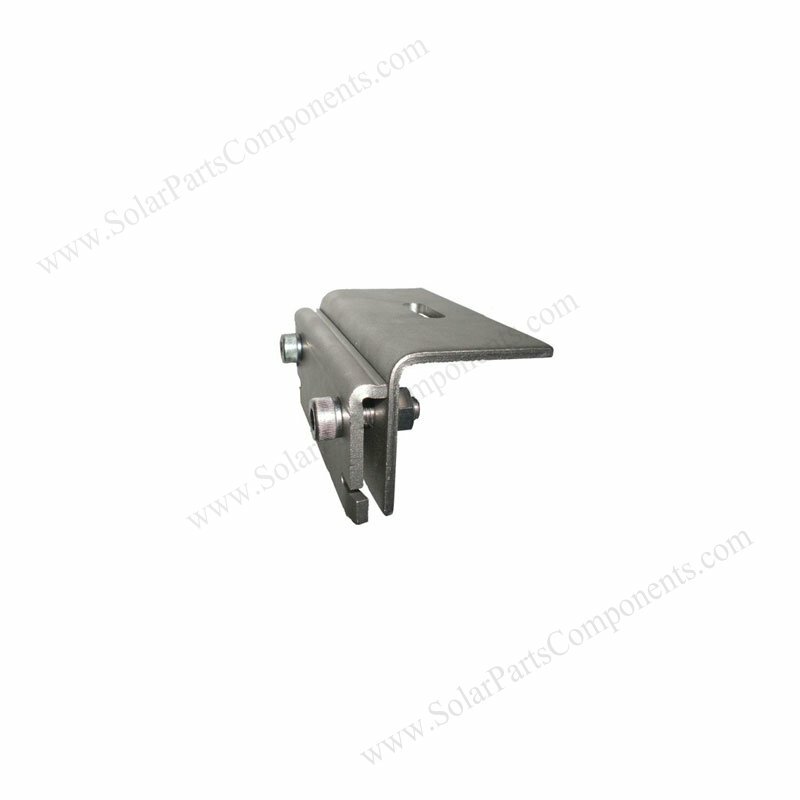 This solar metal roof clamps is made of good quality aluminum and stainless steel . 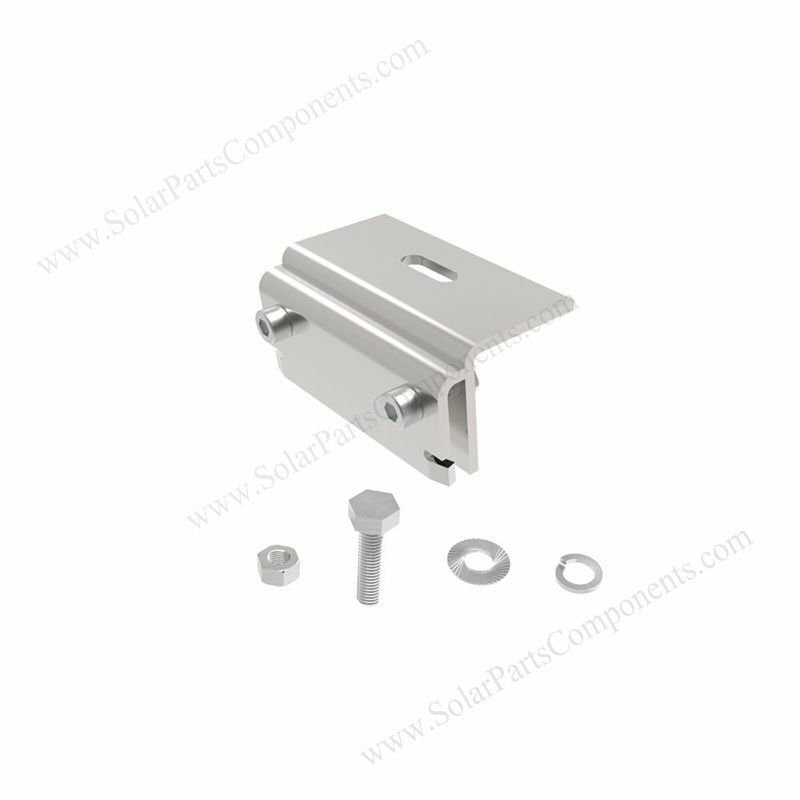 It’s very suitable for solar metal roof mounting structures. Standing Seam Metal Roofing brackets are pre-assembled , which can be quickly installing. 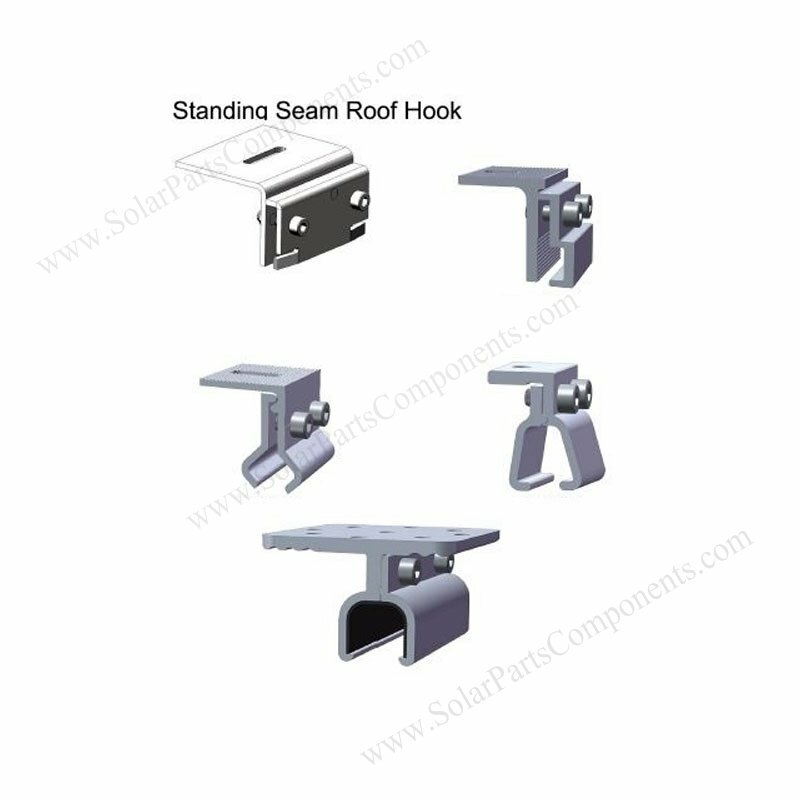 Our standing seam metal roof clamps are perfect design for metal roofing, great matched ! 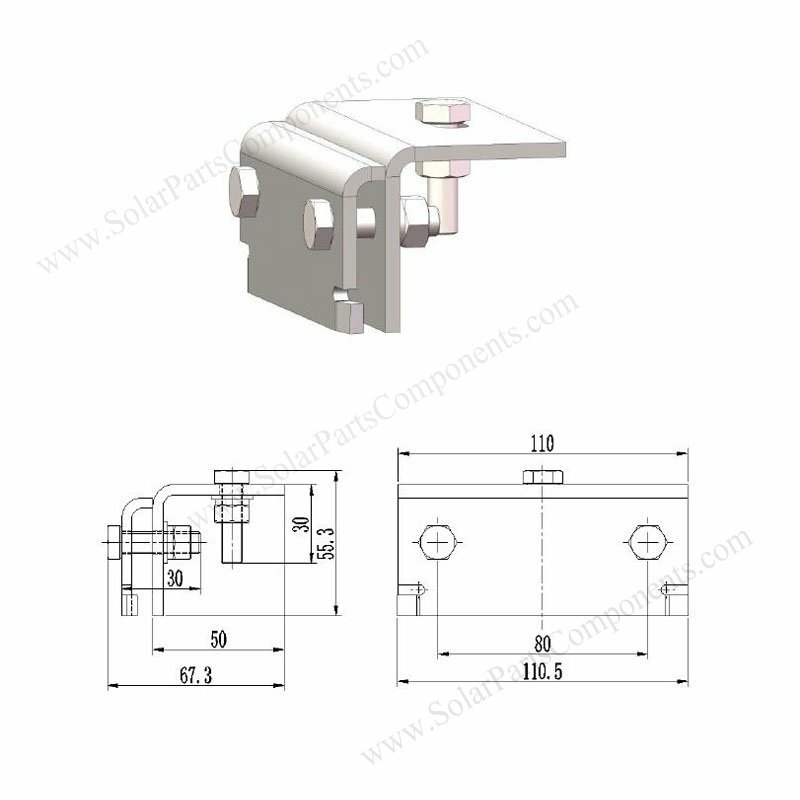 AL6005-T5 Anodized Alum and SUS 304 standard Steel can keep good coorosion resistant . Waterproof EPDM rubber integrated in this metal roof clamp . (e) one set of aluminum clamps .